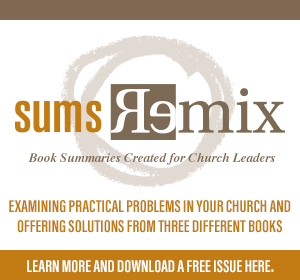 Your church is the only one struggling to communicate effectively. Your website is quite possibly the worst church website ever created. You are the only leader who loses a half-day to social media distraction while trying to post a simple announcement. Of course none of those things are true. In this era of over-messaging and under-communicating, every church struggles to ensure people live excited and on-mission. While this may be comforting to some, the uncomfortable reality is that there is also no single silver-bullet solution. Effective church communication is an art, not a science. Yet all is not lost. 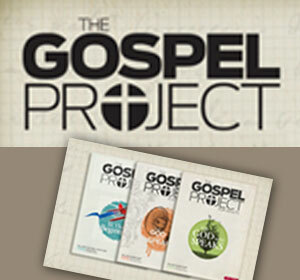 It remains possible to successfully reach your congregation and encourage them toward next steps in Christ. One approach to developing a focused and holistic pattern of regular communication sits literally at your fingertips. The expertly crafted and balanced tool of the human hand presents a strategic picture of how complementary channels of connection might work in unison to accomplish the singular task of effective communication. The opposing thumb is an anatomical separator of humans from the majority of the animal kingdom. Thumbs allow people to use tools through grasping and gripping. Your thumb is a key part of daily life. The thumb is the unsung hero of eating Chinese food, changing channels and crafting witty text messages. But the thumb is somewhat useless by itself. Imagine your hand with just a thumb. It would be hard to do anything very well. Most churches rely on a weekly email blast as their only venue of informing and connecting people. In today’s world, digital communication is a must. But weekly emails are somewhat useless and easily ignored by themselves. Worse yet, when every department sends a separate email email blast to the same people, it is as if everyone has two hands full of thumbs. Your weekly email should anchor a communication strategy in the same way the thumb anchors your hand: one vital part of a greater whole. Each Sunday, someone on your platform or pulpit stands and verbally points the church toward key events or next steps of growth in Christ. Stage announcements relate as a pointer finger points, by focusing attention on what lies ahead. And each Sunday the congregation either hears three minutes of announcements, or receives 180 seconds of visionary communication. One form results in continued inattention, the other toward immediate engagement in God’s better future. Stage announcements, or videos, each Sunday morning serve to align and point people toward what matters the most. What can you really say about the middle finger that was not completely obvious by Middle School? A raised middle finger is all about making a statement. It is sharing an emotional response and often designed to directly impact a specific audience: like the jerk behind you in traffic. A middle finger message is more sender-centric than viewer-concerned, and therefore comes with consequences when the wrong person or group receive the message. In this way, social media functions as a middle finger (so long as we can take the horribly offensive nature of the symbol out of this illustration). Facebook and Instagram posts are egotistically self-serving. They are typically designed to evoke emotion or communicate a quick point. Response is infrequent, and when a response happens, it is rarely helpful or healthy. Understand your social media strategy as a powerful and emotional communication tool. But brace yourself if the wrong people get the message. One of the most powerful symbols in our culture today, as well as every young pastor’s go-to baptism illustration, is the wedding ring. It goes without saying that the ring finger stands for family. And family is where our culture lives. In communicating to the church, meet every parent right where they are spending the majority of their time, their waking hours driving, and every bit of their income: with their kids. Essential to any full-formed communication strategy is integration into the weekly rhythms of preschool, children and student ministry. Invest the extra time to craft take-home moments each week, in every ministry, that speak to what matters most at your church. Leverage parent meetings and milestone moments to communicate directly with families. In these seasons, parents are most attentive. And if you really want your parents to engage in the larger story of church vision, get their kids excited about it first. What exactly does the pinkie finger do but, when extended, signify a special moment? It is found in a sip of exquisite liquid or in a particular affinity to the University of Texas. The pinkie is all about small dose savoring and a specialized approach to the finer things in life. Your church website should be approached in this same way. More than 80% of the everyday users of church websites are guests looking for information. The other 2-20% are church members trying to figure out what time something starts. Unfortunately, the amount of design time and effort most communication teams invest in their church website in no way reflects this imbalance. Churches often bury essential information on service time and campus location three-to-four clicks deep. They use language that only insiders understand. They post 8 minute-long videos that are rarely viewed all the way through. Instead of thinking about small engagements, and a special audience (first time guests) church websites are burdened by by-laws, expired announcements and labyrinthine navigation menus. Approach the design and content of your church website with an eye for small doses. Ask yourself and the team: what is most important? How can it be accessed quickly? Who is actually looking at it? 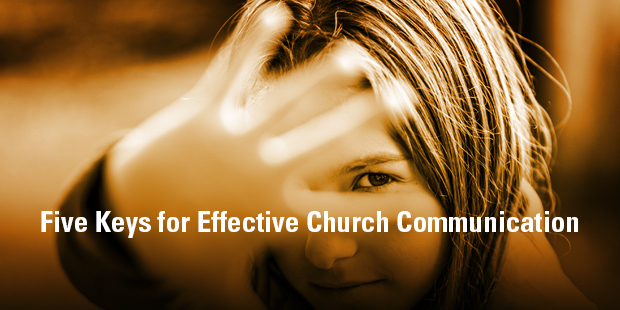 Great church communication is as balanced and useful as the human hand. It can be as powerful as a solid punch, with every finger involved in making impact possible. After-all, what challenges are you facing in your weekly church leadership that a good punch wouldn’t solve? Connect with an Auxano Navigator to learn more about great communication at your church.